He is best known for his popular astronomy books such as Field Guide to the Stars and Planets(1964). Either prior to or shortly after Menzel’s death, the Majestic 12 Committee was looking for an astronomer/astrophysicist that could replace him. The replacement would have to have a firm scientific grounding in astronomy/astrophysics, broad public outreach, and have received Menzel’s recommendation prior to his death. Posted in Exopolitics, Michael Salla, MJ12. (Stillness in the Storm Editor)The following is a series of articles from Dan Burisch’s website from the mid-2000s. It details a narrative that corresponds to other secret space program whistleblowers in regard to extraterrestrial alliances that were formed and maintained throughout the latter half of the 20th Century. Corey Goode is another secret space program whistleblower and insider, whose testimony has been regarded as some of the most credible. 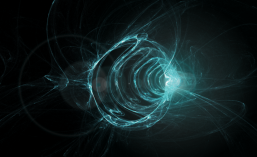 Goode claims that there are a vast number of secret government projects, all of which are heavily compartmentalized. Unacknowledged Special Access Programs are given a mandate by congress to hide their often nefarious activities from the public, at all costs. These programs will often concoct elaborate cover stories for people within the program so as to ensure the truth remains hidden, even from those working within it. Goode claims that one of these false narratives supplied to lower-level secret space programs is that extraterrestrials, which resemble human beings, are actually a future version of us. From an investigator’s perspective, reconciling testimony requires that all facts presented are analyzed and cross-referenced, revealing a tapestry of connections and inconsistencies. Regarding the notion of future humans, we have a point of correspondence between Burisch and Goode’s testimony. Namely that what Burisch regards as future humans, Goode’s narrative would explain as a false compartmentalization story supplied by higher-level programs. Goode’s testimony also refers to some of the higher-level programs appearing to humanity with advanced technology as if they were non-terrestrial. Finally, Goode also states that ancient breakaway civilizations have existed below the surface of the Earth for thousands—and in some cases—millions of years. These inner-Earth beings appear to be human with fantastic psychic abilities an untrained eye would associate with extraterrestrials—or in this case—future humans. To be clear, Burisch’s testimony was provided some 10 years prior to Goode’s revelations. And Goode has never explicitly stated that the J-Rods mentioned by Burisch are either inner-Earth beings or a covert part of other secret space programs. But what Goode does say, and seems to be accurate given the inconsistencies provided by alleged insiders, is that assets within programs are given false narratives specifically to befuddle researchers and assets who dare to discover what the whole truth is. The following provides the avid investigator another side of the story regarding the hidden exopolitical history of the past century. In our desire to know the whole truth, it is helpful to consider all points of view. The more complete and replete our knowledge, the greater our capacity to discern the ultimate truth—so long as we remain steadfast in our dedication to research all possible sources of information. Little is known about this Treaty by most of the public. It is renewed every 9 years, 9 being a most sacred number to at least the Zetan factions that are signatories. The initial treaty was signed in 1958 and renewed in 1967, 1976, 1985, 1994, and initial negotiations for the latest one began in 2003 but were only completed in 2005. In fact, as of this writing, the 2005 Treaty Conference is still in post-treaty negotiations and as such are still in play. Part of the reason, as pointed out elsewhere here, may have to do with the dissolution of the CotM and its breakup into the original MJ-12 group and an Illuminati group that represents another core faction of the former CotM. The signatories to this most recent treaty are the Maji and the Illuminati, who together with representatives from the United Nations represent the present human population. There are at least three extra-terrestrial groups that are also signatories, being the Republic Society of Zetan J-Rods, the rogue Zetan J-Rods, and the Orion “Talls”. The Republic Society of J-Rods are allegedly the descendants of the human survivors of the “Catastrophe” that take to the underground shelters that have been prepared on Earth via MJ-12 since the mid-1950s, when MJ-12 first learned of the approach of the “winged planet/Planet X/Wormwood/Niburu”. They move off from Earth to Zeta Reticulum at some point in our future, where they are known to us presently as P+45K (from 45,000 years from our present, rounded) and P+52K (from 52,000 years ahead of our present time, rounded); see History of the J-Rods. The so-called rogues are allegedly the descendants of those humans who survive underground in shelters controlled by the present-day Illuminati. The Orion “talls” are the descendants of those humans who survive on the surface of Earth, eventually going to the Orion star system. 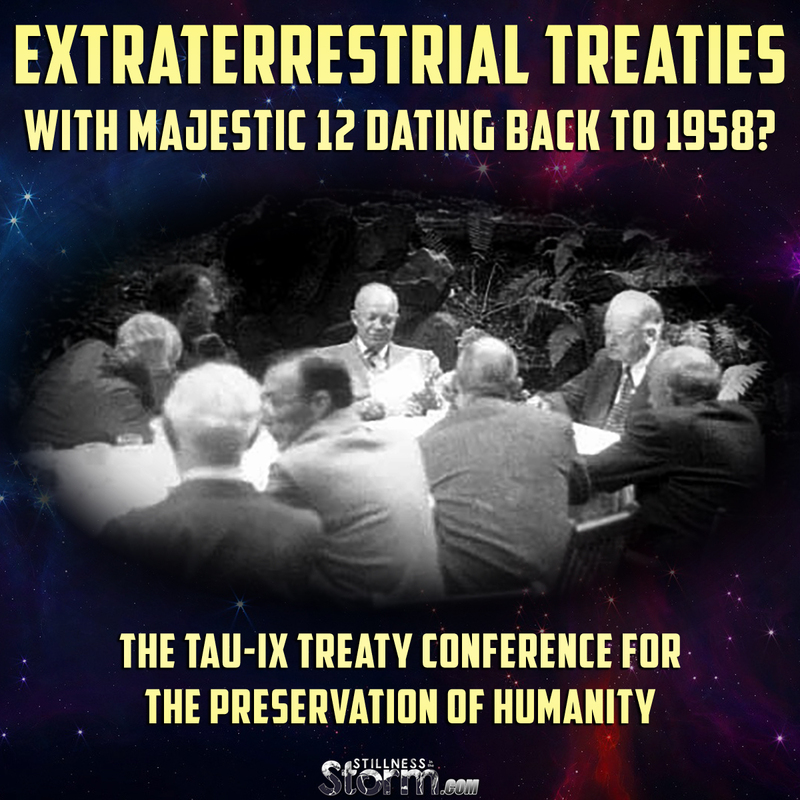 There are indications from some that were present at the Tau-IX Treaty Conference that there are in fact other extra-terrestrial signatories, but with no confirmations they remain unsubstantiated. After researching some older data, I re-discovered an answer to my own question, posed above. Or CotM as it is often abbreviated… membership lists available to the DULY-ELECTED representatives of the 110th Congress of the United States. Squabbling, narrow-minded and egotistical ufologists are advised to pound sand in the meantime. The Committee of the Majority allegedly came into being sometime during the mid-1960’s. 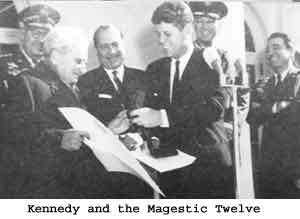 One alleged briefing for black-operations (Majestic) agents holds that it occurred in 1967, when Nikita Khrushchev threatened to with-hold his signature from the Nuclear Test Ban Treaty unless President Johnson opened up the secrets of Majestic 12 to an international group. In this he was supported by both UN Secretary-General U Thant and Indira Ghandi, prime minister of India. The x-factor was the fear that this time around, Mr. Khrushchev might not back down as he had in October of 1962 over the missiles in Cuba. More importantly, there was a fear that the Soviet Union would create their own version of MJ-12 and sign an independent treaty with one or both factions of the zeta reticulans. Faction ‘A’ of the zetans subtly encouraged this line of thought, as it would encourage cooperation among the planet’s superpowers. The obvious problem with this time-line is that Khruschev was ousted in a coup in 1964 and the Nuclear Test Ban Treaty was signed in 1963. If we were to move the year to 1963, then it would have been Pres. Kennedy, prior to his assassination [allegedly at the hands of a complex plot organized by MJ-12 itself, a decision solidified by Kennedy sharing secrets with America’s ‘enemies’]. In addition, the Prime Minister of India that year was Jawaharlal Nehru, not Indira Ghandi. Hence, there is conflicting information about exactly when the CotM was officially formed. This writer’s personal opinion is that it would have occurred during 1963, and its formation is connected with Pres. Kennedy’s assassination, the signing of the Nuclear Test Ban Treaty, and the aftermath of the Cuban missile crisis. 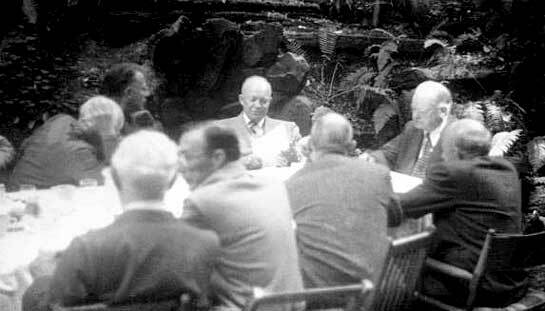 The Committee is formed of 33 of the most powerful men on the planet, allegedly drawn primarily from the ranks of the Trilateral Commission and containing many of the most powerful people in the world. The original core group of Majestic 12 maintained direct authority and oversight of all extraterrestrial matters, and the remainder of the CotM coordinated international relations and the cover-up of the ET subject. 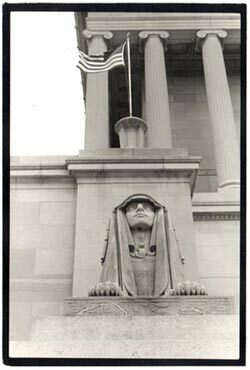 The Committee is primarily a Masonic group, and as such was home to several factions of the legendary and elusive “Illuminati”. This group , known by the slang term ‘illumes’ by majestic operatives, is primarily European, and as such is tied to the concept of a united Europe and its “euro” currency, much as Majestic is tied to its monetary unit, the American dollar. See the Illuminati for further details. Sometime between the months of May, 2003 and November, 2003, the CotM was disbanded, allegedly at the instigation of a leading member of MJ-12 and to a lesser extent the influence of Dr. Burisch. It is this writer’s conjecture that it may have had to do with the internecine warfare between the Majestic and Illuminati elements within the Committee and their competing agendas. One issue that appears to be a precipitating factor concerned the Ganesh Particle that had been discovered by Dr. Burisch, for which a Lotus model was to be constructed that would enable them to be produced at will. This “model” was to have been made ready by March 15, 2003. On May 18, 2003, the famous “Rancher Memo” was signed by the POTUS, instructing that the oversight of Dr. Burisch’s Projects Lotus and Staarflower be removed from MJ-12 and placed under the oversight of the Committee. The ‘bird and clock issues’ refer to alien (extra-terrestrial) and time-travel/knowledge-of-future-events (see DCTP) issues. Throughout the saga of the search for Dr. Burisch, several former Committee members contacted this writer and made known their support for the Doctor and his work. Certain of these members were also treaty negotiators at the Tau-IX Treaty Conference for the Preservation of Humanity (above report), before the disbanding of the CotM, and as such are believed to have done their best in the interests of mankind. History will soon record whether they have done so. MJ-12’s full title is the Majestic-I2 Special Studies Project of the National Security Council. Since late 2000, it has referred to itself as the “Working Group”, possibly as a reference to the presidential selection of that year. It is referred to as MJ-I2 for short, but only informally and never in internal documents. MJ-12 is so secret and highly compartmentalized that only those at the top understand what it is they are protecting. The majority of MJ-12 personnel are security personnel involved in covering up the UFOs’ activities on Earth as well as the government’s complicity with them. Most of the rest are technicians and scientists involved with finding applications for the UFOs’ gifts of technology and intelligence. A tiny percentage are involved in directly negotiating with the Ultra-terrestrials, receiving their technology and intelligence, and setting MJ-12 policy. The element that binds the diffuse elements of MJ-I2 together is MAJIC clearance. Anything related to the U.S. government’s contact with the Ultra-terrestrials (extraterrestrials from our future – see J-RODS) is classified MAJIC material requiring MAJIC-level clearance for access. MAJIC-level clearance is the highest security classification available in the United States government, and makes the holder a “super-user” in the intelligence community. MAJIC clearance holders are able to access information and enter facilities no matter what organization the MAJIC clearance holder belongs to, or which intelligence agency has the information or operates the facility. Former members of MJ-I2’s inner circle retain MAJIC clearance after they leave government service and even certain extremely wealthy and influential private citizens have acquired MAJIC clearance. MJ-12 is diffuse. Its membership, facilines, intelligence files, and budget are spread out among the CIA and the various branches of the Department of Defense. The last one is alleged to be the principal intelligence agency in authority over projects that take place at the legendary Area 51 facilities as well as the Los Alamos Nuclear Laboratories in New Mexico involving the extra-terrestrial guests. It is alleged that over the years the CIA has been losing its influence in MJ-12 due to encroachment by the NSA, DIA, and the military intelligence branches. The Department of Defense controls the lion’s share of MJ-12’s resources and personnel, while careful attention is paid to maintaining separate status. MJ-12 is well organized and well financed. Dan Burisch: I was unaware until a few years ago of the Masonic connection to Majestic, that in fact they were also connected to the so-called Illuminati. Dan Burisch: I am aware of the Temples. Dan Burisch: 1733 and 2800, addresses? Dan Burisch: Only been to one of them. Dan Burisch: and was driven there. DONDEP: Yes, to 1789. You don’t think they go in the front door, did you? Dan Burisch: I was taken in down a long line of sphinxes… The subculture within the MJ community let me in on all that Illuminati stuff.